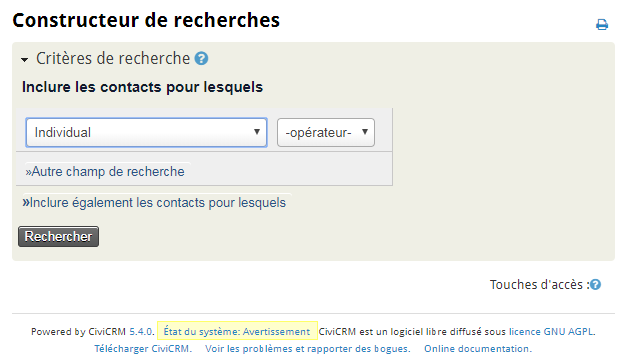 You can reproduce this bug on the demo configuration (civicrm.demo.civihosting.com, in 5.0.0), this way : Search Builder > Select "Individual", then go to Support > About CiviCRM, and then back : "Select Field" has disappeared : on my configuration, I have the same situation, but directly, without this forth and back operation. Not the answer you're looking for? Browse other questions tagged search-builder or ask your own question.